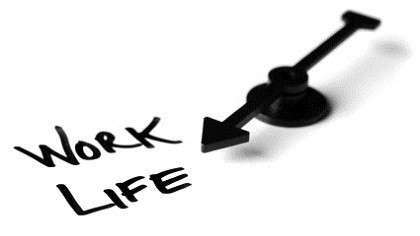 Finding a balance and separation between work and life takes careful scheduling and discipline to stay on track. Being pulled away from your work even momentarily can disrupt your entire schedule and send your day into chaos. When you worked in a regular office, you had time to transition from Marketing Maven to Mommy on your one hour daily commute home. But now that you work from a home office, separating home life from work life has become tricky. Learn how to shut off work—and enjoy being with your family—with these tips. Keep it together. The beauty of being a telecommuting worker is that you can literally work from anywhere. But that doesn’t always mean that you should. When you work from home, your physical office should be in one location. After all, if you work a little from your home office—and a little from your kitchen and your dining room—it can feel as if work calls to you all the time. Being able to close a physical door to your workday can help make the transition easier. Set the clock. Sometimes when you’re knee-deep in a project you can lose complete track of time. So set a reminder 45 minutes before the end of your workday in the form of an alarm or an alert on your screen. It will remind you that your workday is coming to an end and prevent you from taking on new tasks that could keep you working well past quitting time. Fight the temptation. When your office is just down the hallway, it can only take ten seconds for you to log in again and begin working. Even if you have a flexible job, you’ll still need to keep a fairly consistent routine or else your work life will become completely chaotic. So shut down your computer—don’t just let it go into Sleep mode—and avoid answering your phone. And no matter how tempting it may be to look at your email after you hear that delightful “ding” sound, let it sit (unchecked) in your inbox until the morning. Plan ahead. Maybe you promised your newly minted 5th grader that you’d bake brownies with her after she gets off the school bus. Or you might have a mani/pedi appointment scheduled in the early evening after your hubby gets home from work. Ending your workday can be easy—and you’ll be able to let the stress of the day fade away—if you have something fun to look forward to. Not letting work overwhelm your every day life is a constant battle. But by staying structured, you’ll be better equipped to balance your work life and your family life with ease.